The LIFT Festival is so vital not only because it brings to the capital some of the most exciting shows from around the world, but because it can help highlight the deficiencies of the UK theatre scene. 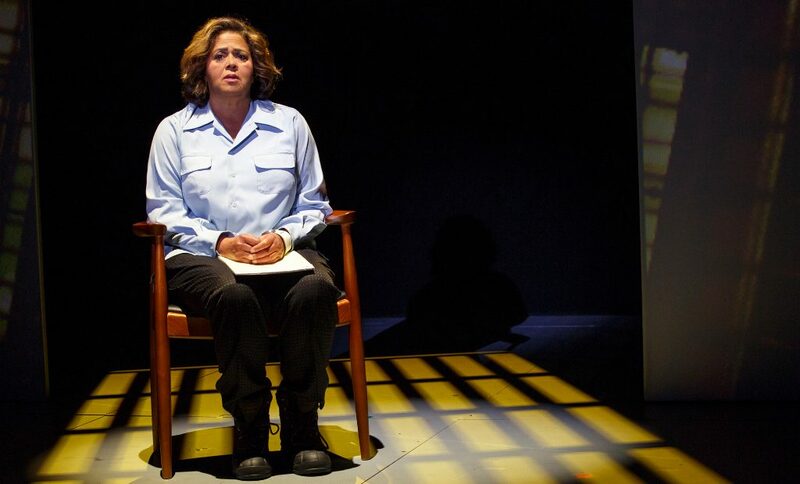 Anna Deavere Smith’s staggering Notes From the Field does just that, inadvertently pointing a finger at the lack of engagement with Britain’s racist, colonial history – and what that means for our present systems of living – on the country’s main stages. This is not to say there hasn’t been superlative work from British people of colour in 2018; the year has been notable for shows like Misty, Leave Taking and Nine Night. But rather that, as things currently stand, it’s hard to imagine a British version of Notes given the same prominence as the US import is here. Selecting 15 scenes from the 250 interviews conducted, the verbatim piece – a form pioneered by The West Wing actress with Fires in the Mirror and Twilight: Los Angeles, 1992 in the early 90s – focuses on America’s school-to-prison pipeline, the shuttling of the country’s disenfranchised from education to incarceration. Smith and director Leonard Foglia don’t shy away from displaying the race-based brutality and barbarism of this transition. Projected on the Royal Court’s signature brick wall, the shaky portraiture of phone-filming appears throughout: the fatal arrest of Freddie Gray, the manhandling of the bikini-clad Dajerria Becton, the classroom assault on a girl called Shakara. 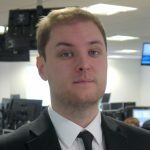 Videos as grotesquely familiar as they are obscene. The play is also careful not to patronise its audience. There’s no need. You don’t have to work very hard to connect the image of a young black girl being tossed about like a rag doll by a white cop three times her size, and the idea of a “consciousness of hurt” that places broken people into a broken system. It’s difficult to overstate just how good Smith is. With nothing more than a change of jumper, a new pair of shoes and a different chair she transforms into each interviewee. And though one can be pretty damn different to the next – from Chief Judge of the Yurok Tribe Abby Abinanti to Congressman John Lewis to Pastor Jamal Harrison Bryant – they are all marked by an American “heaviness” spoken about in the prologue. As Bryan Stevenson, the Executive Director of the Equal Justice Initiative in Alabama, says, this is not African-American history, but American history full-stop. Let’s just hope that next time something like Notes From the Field appears at the Royal Court, its dealing with Britain’s equivalent past, present and future. 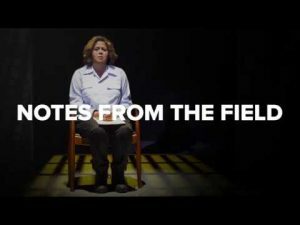 Notes From the Field is at the Royal Court Theatre from 13th until 23rd June 2018. For further information or to book visit the theatre’s website here.